San Diego interior designer Jim Walters was able to maintain a sense of openness while creating distinctions between the various living spaces. 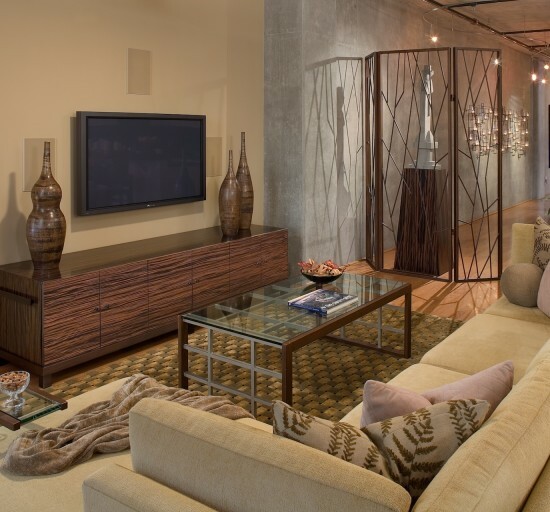 This separate gathering area features a plush custom sectional ideal for curling up to read, socialize, or watch TV. 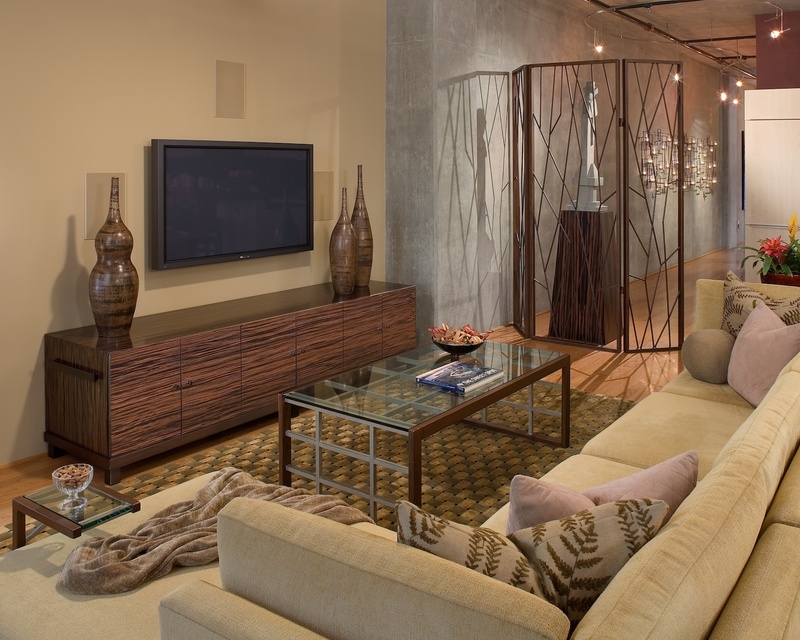 "Like a tranquil urban oasis, the loft is warm with rich woods and a soft, textural palette of earth tones. Comfortable seating throughout makes an otherwise industrial space more inviting."